I wish I could be like all those other cool authors who say they have wanted to write since the day they were born. I didn’t realize how fun writing could be until about four years ago. I had just watched the movie “The Bucket List” with Morgan Freeman and Jack Nicholson and was so fascinated with the idea of making a list of goals for myself. I put some pretty goofy things on my list– “ride a camel,” “kiss a frog,” but I also included goals that I knew would take more effort. When I scribbled “write a book,” I chuckled a little because I didn’t think it was something I could accomplish while chasing three small children. A few weeks later, an idea came to me that wouldn’t leave me alone, and in the spirit of checking off an item on my bucket list, I jotted it down. Before long, I found myself sneaking away to write more and soon realized I had a new passion in my life. I especially love Shannon Hale’s work and overall persona. If you haven’t been to one of her signings yet, you should definitely try. She is so down-to-earth, hilarious, and friendly. I was so nervous to meet her for the first time, but she was nice as pie, in fact, she was giving out free pie! I remember thinking that I wanted to be just as cool as her someday. 3. How did you get the inspiration for your novel? There are lots of things I love about being an author – creating something that never existed before, exploring my imagination, working in my pajamas, I probably shouldn’t admit this, but one of things that I get a kick out is being able to “zone out” in the late afternoon and people just assume I’m working out the details of a scene, when really I’m just tired. The editing! I love the end result of the editing process, the satisfaction I feel when I get a sentence “just right.” But, oh boy, it can be painful sometimes! I had a similar experience to Amanda Hocking when it came to submitting to agents and publishers. They loved my writing, said the story was great, but that there was no market for witch novels, or rather; the market was already saturated with them. I didn’t want to let Emmeline’s story get lost among my computer files, so I hired an editor, cover artist, etc., and put it out there myself. So far I’ve heard wonderful things so I’ll keep my fingers crossed! I’m finishing up the final edits for THE UNDERGROUND WITCH, book two in the Incenaga Trilogy, which will be out in spring of 2013. I’m also finishing up the final edits for a historical fiction set in ancient Egypt that I’m very excited about. I haven’t decided on the title yet, but I’m leaning toward DESERT GUARDIAN. It is about a blue-eyed, blond-haired girl who inadvertently saves Pharaoh’s son and is rewarded with an invitation to join the elite royal school in Egypt’s capital. It’s an adventurous middle-grade novel. 8. Describe in three or fewer sentences what makes your book unique and why a reader should buy it. 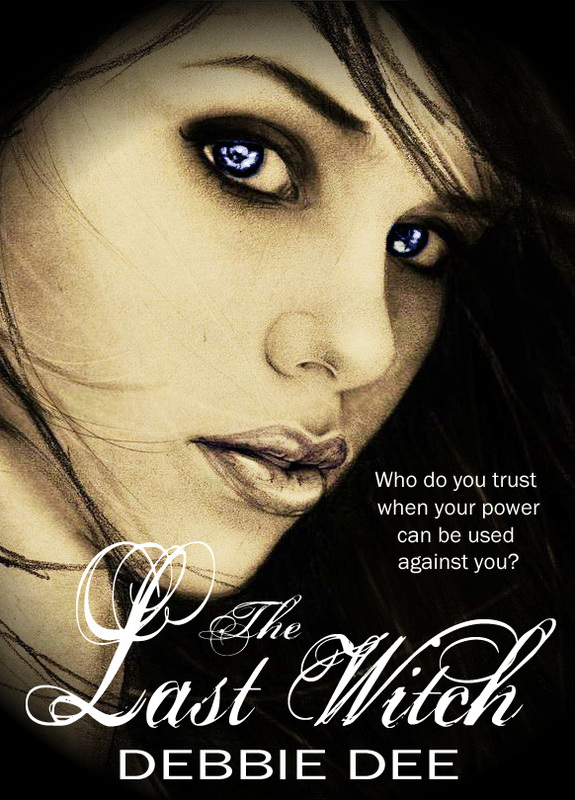 THE LAST WITCH is set in a fairytale world where the witch isn’t always the “bad-guy” and the prince isn’t always the most eligible bachelor. With danger lurking around every corner, THE LAST WITCH is a romantic adventure you won’t forget. They're perfect for each other…even if she doesn't know it yet. Glynis Kirby's love life stinks. Her boyfriend dumped her for another guy. Her next-door-neighbor held her hostage on prom night. And now she's been trapped in a Porta-Potty by a monkey with a switchblade. And she's not even going to talk about her date with the poly sci major with the Pocket Ouiji Board. Maybe she really is desperate enough to take everyone's advice--including her mother's (ugh!) --and date the dashing Daniel Bond. Corin grabs my arm and spins me around to face him before I'm safe in the halls of the Math Department. Not many guys will follow you in there. It's like a Geek Den where everyone is too wrapped up in their research and books and whiteboards to think to ask a girl out on a date and I'm pretty sure that's what Corin was planning to do before the stripping and the singing. I take an unconscious step closer to Corin as he's talking because, the strangest thing happens as I'm looking up at his bright, hopeful face and coaxing smile. I feel safe. For the first time in almost a year, I feel safe. What's the harm in giving the guy a little crumb of hope? Maybe if he has hope, so will I.
MOLLY ZENK was born in Minnesota, grew up in Florida, lived briefly in Tennessee, before finally settling in Colorado. She graduated from Flagler College in St. Augustine, FL with degrees in Secondary Education, English, and Creative Writing. 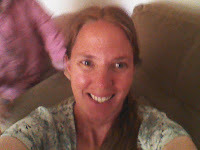 She spent six years using those degrees teaching High School English, Poetry, and Creative Writing before going on “hiatus” to focus on being a stay-at-home/work-at-home Mom. Molly is the author of two historical fiction novels – Chasing Byron (Highland Press, 2008) and Unheard Melodies: Confessions Of A Poetic Muse (Wings Press, 2008) about Lord Byron and John Keats. Chasing Byron is used in classrooms to make the Romantic Poets accessible to at risk kids and reluctant readers. Unheard Melodies was nominated for Best Book Of 2008 by Long And Short Reviews. 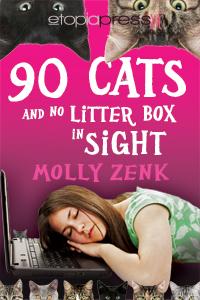 90 Cats... is Molly's third novel and the first in a four book series. Molly is married to a Mathematician/Software Engineer who complains about there not being enough “math” or info about him in her author bio. They live in Arvada, CO with their young children, one dog, and one cat. The Haunted Housewives of Allister, Alabama (A Cleo Tidwell Paranormal Mystery) is available in trade paperback via Amazon , and in ebook via Amazon.com, BarnesandNoble.com, Kobo.com, and other online retailers. You can also find The Haunted Housewives of Allister, Alabama (A Cleo Tidwell Paranormal Mystery) on Goodreads. When Cleo Tidwell said, “I do,” for the third time, she had no idea her marriage vows would be tested by a gaudy Velvet Elvis painting. But Cleo’s not the kind of woman to let a velvet-offense- against-good-taste just hang--oh no, she’s on a mission to oust the King. Trouble is, Elvis won’t leave the building. And he’s attractin’ all manner of kooks, fanatics, and lookie loos to Cleo’s doorstep. Everyone wants a piece of the painting, but Cleo’s starting to suspect that whatever’s haunting the Velvet Elvis wants a piece of her husband. Why else would her hubby trade in his car for a ’56 pink Caddy, moonlight as an Elvis impersonator, and develop a sudden hankering for fried peanut butter and banana sandwiches? Between the death threats, psychic warnings “from beyond,” kidnapping attempts, invitations to join the Blue Shoe Loonies, and even murder, Cleo's fighting for her life, her marriage, and the perseverance of good taste everywhere. I am offering an autographed print copy of Starflower to the giveaway winner, along with fun extras (bookmarks, pencils, etc.). When a cursed dragon-witch kidnaps lovely Lady Gleamdren, Bard Eanrin sets boldly forth on a rescue mission . . . and a race against his rival for Gleamdren's favor. Intent upon his quest, the last thing the immortal Faerie needs is to become mixed up with the troubles of an insignificant mortal. But when he stumbles upon a maiden trapped in an enchanted sleep, he cannot leave her alone in the dangerous Wood Between. One waking kiss later, Eanrin finds his path entangled with that of young Starflower. A strange link exists between this mortal girl and the dragon-witch. 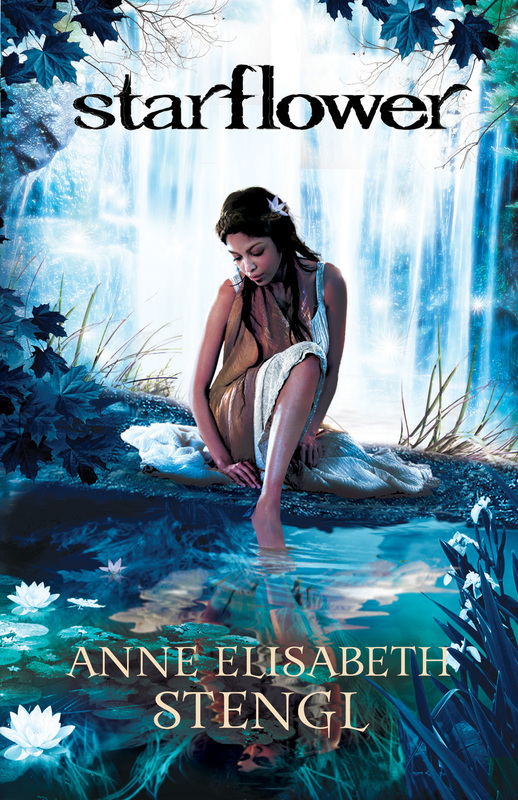 Will Starflower prove the key to Lady Gleamdren's rescue? Or will the dark power from which she flees destroy both her and her poet rescuer? 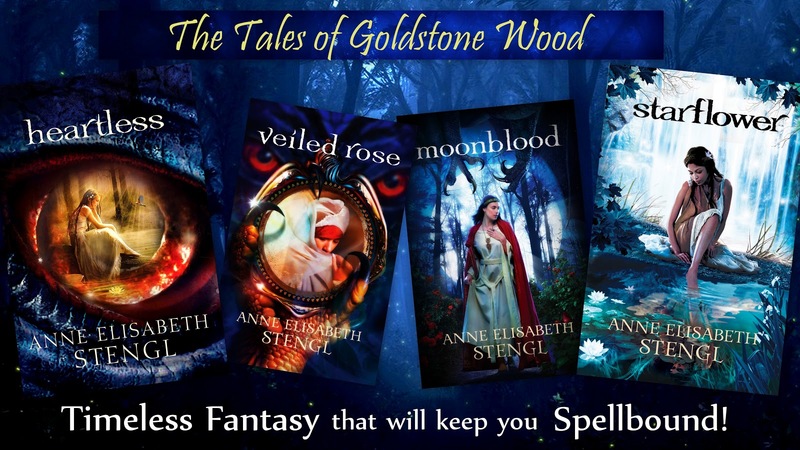 Author Bio: Anne Elisabeth is the author of the Tales of Goldstone Wood, a series of fantasy adventure novels told in the classic Fairy Tale style. 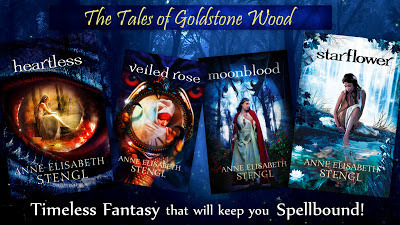 The series so far includes Heartless, Veiled Rose, Moonblood and Starflower, with Dragonwitch due to release summer of 2013. Anne Elisabeth is married to the handsome man she met at fencing class and lives with him, a gaggle of cats, and one long-suffering dog in NC. 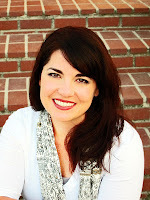 Her first novel, Heartless, won the 2011 Christy Award for Debut Novel and was an INSPY Award finalist. Her second novel, Veiled Rose, won the 2012 Christy Award for Visionary Novel and was a Romantic Times Inspirational Novel of the Year finalist.